Guto Parente, Luiz Pretti, Pedro Diógenes, and Ricardo Pretti, Os monstros (The Monsters), 2011, still from a color film in HD, 81 minutes. THERE ARE OLDER FESTIVALS in Latin America than the Buenos Aires International Festival of Independent Film—BAFICI, to use its Spanish acronym—and there are certainly flashier ones (like the more mainstream event in the Argentinean coastal resort of Mar del Plata), but none has staked out so central a place in cinephile culture. As a municipally funded event, BAFICI has endured the whims of government bureaucracy during its brief existence—the festival, which concluded its thirteenth edition on Sunday, is already on its fourth artistic director. But while it may be subject to variable political pressures, it has avoided having to make serious artistic compromises. Through personnel changes and through what has been a tumultuous decade in Argentina, BAFICI has cultivated an identity, one might even say an ideology, that sets it apart from the pack. Put simply, this is a festival with both the discernment and the freedom to oppose the pervasive (if often unacknowledged) notion that film festivals should be temples to industry more than to art. The fare that most other fests relegate to the margins or smuggle in amid would-be crowd-pleasers—adventurous, risk-taking work, in other words, the kind that cultural gatekeepers often tar as obscure or elitist—is unapologetically front and center here. Under its current head, Sergio Wolf, BAFICI has continued on the distinctive path forged by the critic Quintín, the festival director from 2000 to 2004, who did more than anyone to boost the event’s global profile. There are no red carpets at BAFICI, and there is no insistence on premieres; the festival also resists the curatorial habits—or marketing practices—of sectioning work off into, say, documentary, genre, and experimental categories. At the core of the program are three competitive slates—one international; one Argentinean; and one, called “Cinema of the Future,” for nominally edgier work—generally reserved for first- or second-time filmmakers. The main competition lineup does not simply depend on product availability—more than that, it’s an attempt to survey the cinematic landscape for ripples of urgency and pockets of resistance, to summarize the state of the art. Alongside pickings from last year’s Cannes (Le quattro volte) and Venice (Attenberg), there is room for an oddity like the scruffy Os monstros, by four young Brazilian directors, Guto Parente, Pedro Diógenes, and twin brothers Luiz and Ricardo Pretti. A film in search of something—freedom, art, the real, a means of expression (all of which is to say, itself)—it plays like a melancholic slacker movie, halting and meandering, and culminates in a fifteen-minute free-jazz jam, an extraordinary feat of camaraderie and alchemy. Both the top prize and the critics’ prize went to the French director Sylvain George for May They Rest in Revolt (Figures of Wars I), a black-and-white portrait of illegal migrants in the shadowy borderlands of Calais, France, as radical in its lyrical intimacy as in its activist point of view. George’s project—to reinvigorate the possibilities of the political documentary—was shared by films as different as Palazzo delle Aquile (by Stefano Savona, Aliessia Porto, and Ester Sparatore), a purposefully grueling vérité immersion in the chaotic daily existence of homeless families during a monthlong occupation of city hall in Palermo, Sicily, and Mercedes Alvares’s Futures Market, a philosophical essay film on the life cycle of objects and the existential crisis of late capitalism, journeying from expos hawking unbuilt Dubai towers to an overstuffed Barcelona junk shop. A highlight of the Cinema of the Future section, Ion de Sosa’s True Love, a chronicle of the Spanish filmmaker’s doomed romance while living in Berlin, boldly subverts another familiar form—the diary film—by both going deeper into self-exposure (literally, as in endoscopy footage) and abstracting emotion into ambient impressionism. BAFICI is not immune to festival bloat (more than three hundred features this year), but its tentacle-like reach pays off in the many retrospectives, which counter the embalming tendencies of such showcases by featuring not only anointed masters but sundry bodies of work, large and small, that have eluded local (or, for that matter, most) audiences. Stuffed into the mix this year: Japanese New Wave icon Kiju Yoshida; Andrei Ujica’s remarkable post-communist trilogy; a midcareer spotlight on the Canadian comic (sub)urbanist Gary Burns; and a catch-up session on Sandro Aguilar, an important producer and editor in the Portuguese independent film world and, in his own right, a director of several enigmatic experimental shorts and one potently moody feature, Uprise (2008). Santiago Mitre, El estudiante (The Student), 2011, still from a color film in HD, 124 minutes. A major draw for foreign visitors is the prospect of finding Argentina’s next big thing, especially now that the key figures of the last national new wave (Pablo Trapero, Lisandro Alonso, Lucrecia Martel) are a decade or more into their careers. 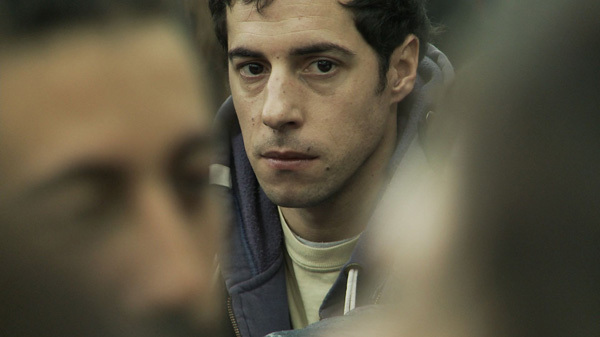 The Argentinean jury, on which I served this year, awarded its top prize to Nicolás Grosso’s Animal’s Run, an atmospheric, elliptical drama about the aftermath of a factory closing and the pull of an absent father figure. While this year’s BAFICI offered nothing to match the excitement of the domestic cinema’s last great discovery, Mariano Llinas’s 2008 epic Historias Extraordinarias (which will receive a New York run at MoMA starting May 4), the two Argentinean films that played in the international competition, both debut features, are proof of the local scene’s continued health. Hermes Paralluelo’s documentary Yatasto follows the lives of a family on the outskirts of Córdoba that subsists on scavenging and begging—follows is the operative word, as Paralluelo’s film implicitly wrestles with the question of how best to observe its subjects and to reveal the particularities of their world. Far from effacing the presence of the camera, Paralluelo calls attention to it with an ingeniously simple, almost theatrical device. The most vivid scenes are captured in long takes with a camera mounted to the clip-clopping horse-drawn cart that transports the family members, primarily the very garrulous kids, through town. It’s a privileged perspective, granting us an unusual, head-on intimacy, but also one that reveals a larger social context as the cartoneros, in these scenes of continuous motion, navigate the traffic and the neighborhoods of the city. The thirteenth Buenos Aires Festival Internacional de Cine Independiente ran April 6–17, 2011.